Today I'm proud to feature a review of the new adult romance novel "A Taylor-Made Love," by Kary Rader, as part of the Enchanted Book Promotions blog tour. The novel follows Taylor Smith-Taylor, a twenty-year-old widow and cancer survivor, who has been tasked with running her late husband’s billion-dollar gaming business. The plot kicks into gear when things start heating up between Taylor and her handsome attorney Brad Richards. The relationship between Taylor and Brad is complicated by high-stakes business decisions and shared responsibility over difficult negotiations. As often is the case with relationships, stress from outside factors can seep its way into the romance. Rader does an excellent job capturing this in a way that's engaging and interesting. The two main characters are well-developed, and as the reader, I really feel as though I understand the characters. 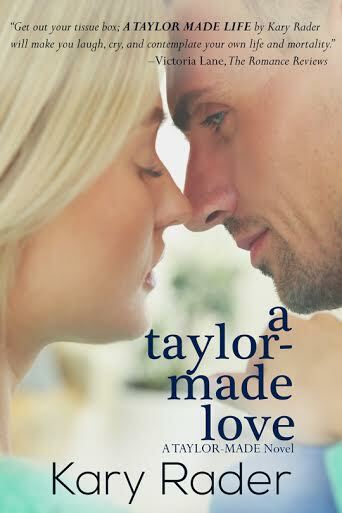 If you're looking for a fresh new romance, you'll enjoy "A Taylor-Made Love."